Session for MEHP students in the Educational Scholars class. These students are medical professionals looking to become educators in the medical field. This session ended up being a little too basic for this level – they understand how to do medical research, they needed more practice in the educational field. This week I held two online sessions for Ed.D. students on how to create an annotated bibliography. The first session went really well, but I forgot to start recording until 20 minutes in! I got the full recording of the second session, but there were twice as many people and it was a bit chaotic. The first session, I was able to use two screens, so I could see and control my PPT in one screen, and see what I was sharing and watch the chat box in the second screen. I was happy to have another librarian sit in on the session and monitor the chat box for me. There were so many questions in the second session that I even had to ask them to slow down and hold off their questions for awhile. It was also frustrating since they weren’t paying any attention to the chat box except to their own questions, and repeating each other’s inquiries quite a few times. There were also so many basic questions, such as “how do I know if my article is peer-reviewed?” which I didn’t expect to get from a group of graduate level students. Many of them also had trouble following directions! I tried doing a group activity that worked well in the first session, but with twice as many students in the second, did not go as smoothly. But overall, I think they went well and the students did seem to get a lot out of it. After giving my presentation at WILU 2014, I was asked to do a webinar for the Education Institute. I took my initial presentation, jazzed it up a bit, and gave a webinar today to some international librarians! No one actually attended my Refworks workshop, but at least I have a cool slideshow for next year’s online workshop! Today I was able to attend the Faculty Program Leads meeting and introduce myself as their new librarian. Of course I came ready with a handout detailing how I can support them! Yesterday I finally finished a process long in the making: a flow chart walking users through the process of finding the materials they need. It can be so complicated figuring out what service to use and how to access materials, so I wanted to create a flowchart that not only explained the steps, but included instructional content. I thought perhaps I could make this using some sort of infographic building program, but everything I tried wasn’t quite robust enough. So I tried Prezi. I knew Prezi would allow me to embed videos and include links, and there are some great templates. My problem with Prezi is that you could have only one straight path, and not jump around too easily. Users can grab and drag, click around, etc., but Prezi isn’t widely used enough that our users would find it easy to use. Finally I tried Lucid Chart. It was the absolute perfect tool to use for a flowchart. It automatically aligns objects for you and provides a grid, while still allowing you to customize yourself. You can embed images, videos, and include links, and easily lock arrows to boxes for easy manipulation. It was perfect! 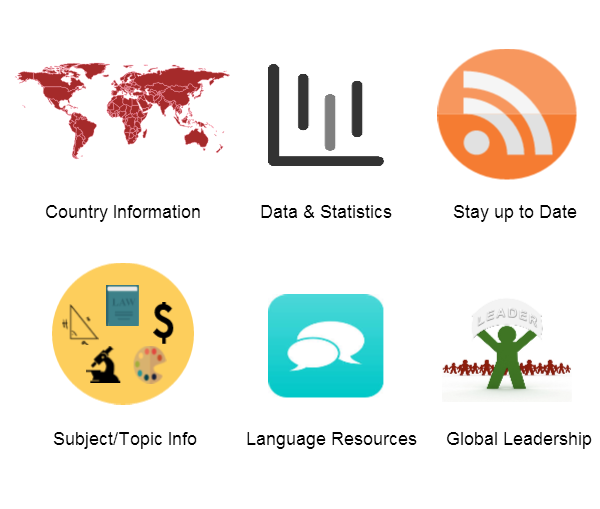 Lucid Charts can be hosted online, embedded into LibGuides, and downloaded as various file types. So awesome! My chart is embedded into a LibGuide, and anytime the chart is edited in Lucid Chart, it will automatically be reflected in the embedded version without me changing a thing in LibGuides. See the chart online, or take a look at the PDF, pictured below. There are many tools out there that allow you to be more creative and bring visuals into the classroom, or just into your daily work. Recently I’ve been experimenting with a few different visual tools, including MindMup, Lucid Chart, and Piktochart, and shared a bit of this knowledge lightning style through workshops for AOTL librarians, and for the librarians and staff at the John Tyler Community College libraries. Spending less than 15 minutes per tool doesn’t really get you deep into any of them, but it was just enough to spark some interest. I already know of librarians who are trying them out on their own and developing some really cool graphics! Here’s a snippet about each tool, and included here is a link to a Prezi with some basic information. I encourage you to try them out on your own! One of the nice things is that you can add images and attachments, and the attachments allow you to add more information without cluttering your map. Ultimately, this could be a great tool for classroom and individual use, if you choose not to rely on the collaboration aspect. In the meantime, I’m searching for a more stable tool that can support real time collaboration. Out of both workshops, people seemed most interested in Lucid Chart, since it has many practical applications outside of the classroom. You can see that we had a little fun with everyone in the workshop adding things to the chart at John Tyler. I’ve been using this tool the most lately to create handouts and the base for hover maps to embed into LibGuides. This infographic I created in Piktochart can be used as handout, put on a PPT slide, or embedded into a LibGuide. Unlike the other tools, you cannot collaborate on documents, and although it is free, the free version is very limiting. There are enough themes and graphics to get you started, but I often find myself seeking out free graphics to upload, and taking stylistic cues from other themes and starting mine from scratch. But the free version does still have some really awesome features, such as embedding videos, and the ability to create maps, charts and graphs containing your own uploaded data. It’s very easy to use, and in addition to infographics that you can publish online, you can use it to create handouts, presentation slides, reports, and banners. Another experiment in using images as a table of contents on a LibGuide. This one will go public on the VCU Globe guide once we flip the switch to LibGuides 2.0! 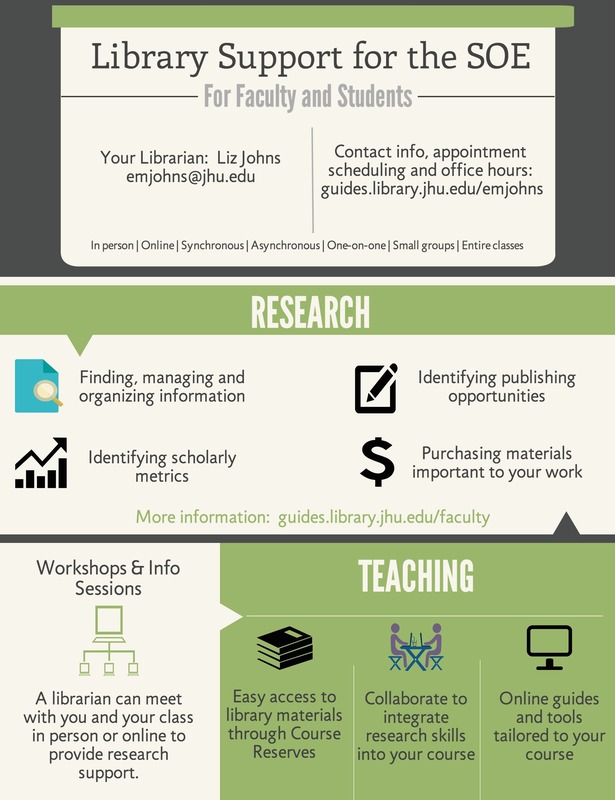 Tomorrow I am meeting with the UROP summer fellows and I wanted to bring them some sort of handout to help them remember that the library can help them. Sometimes students forget! I had this super boring handout that I used for other groups, and started modifying it a bit for the UROP students. But then I had a brilliant idea: I’ll turn it into an infographic instead! This is way more fun, and students are probably way more likely to read this. Maybe it will help in getting students engaged with the library, maybe not, but at least I tried! One of my awesome colleagues showed us the meme she created, and inspired me to create my own. Another of my awesome colleagues had the idea for me to have one with the word “librarian” around me head in a bunch of different languages since I am the librarian for international students. I think I will at least use this on PPTs for intro classes, and possibly orientations for other groups as well. Not sure yet if I will go so far as to posting it on a Libguide or printing it on a handout. 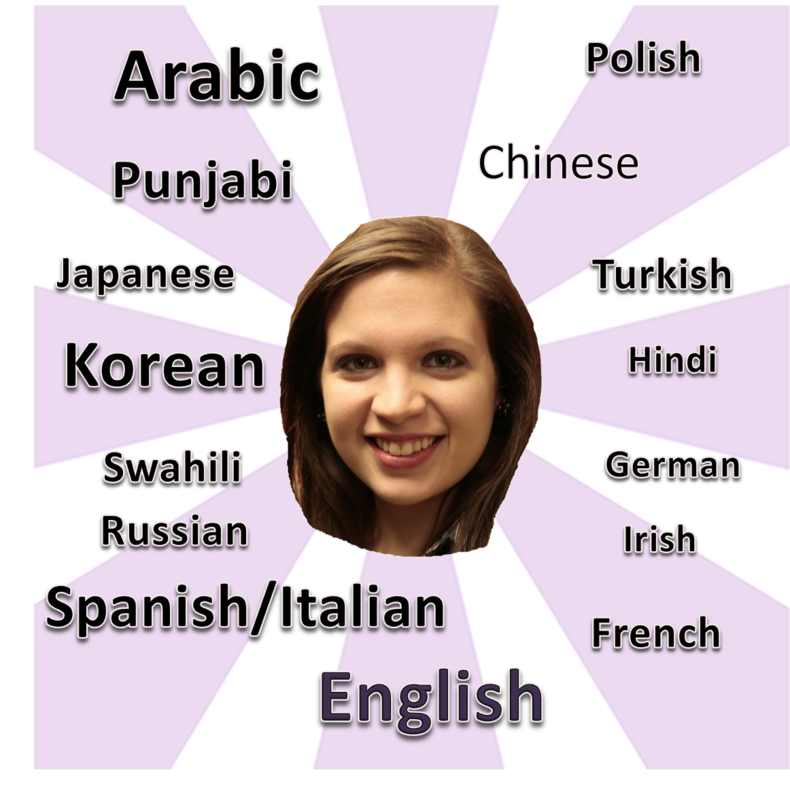 I tried making it the profile picture for my LibGuides for international students and ELP, but I can’t change the picture for those guides without changing it for all my guides. I don’t think I want this on every single guide, but I thought it would be fun for those. Perhaps LibGuides 2.0 will provide more flexibility? This one is more for me so I don’t forget which word is in which language! For both, too many words and different alphabets did not lend itself well to the bold colors and black-outlined white text of a traditional meme.